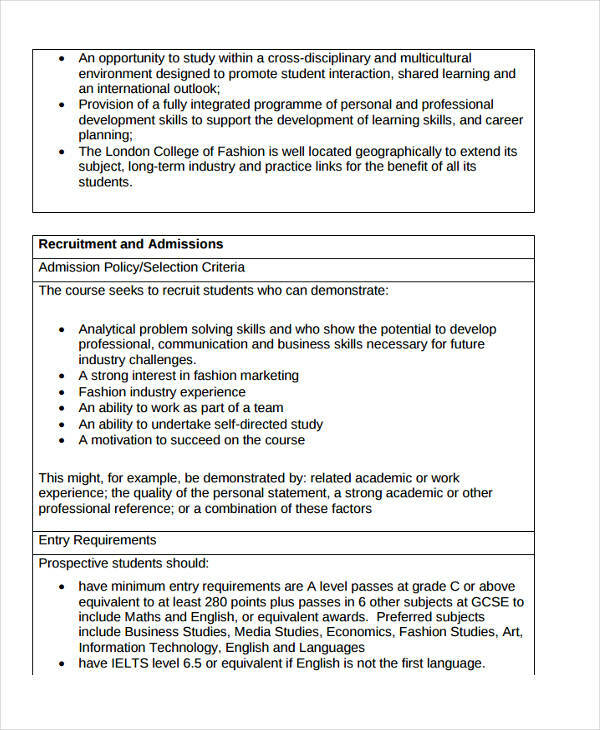 Ever tried applying for a job or an institution where you are asked to talk about yourself? Do the questions “Why should we hire you?” or “What are your interests?” or maybe even “What makes you different?” sound familiar to you? Then you are not alone. Most jobs or even college applicants encounter these questions more often than the sound of their alarms or the singing of the birds in the morning. 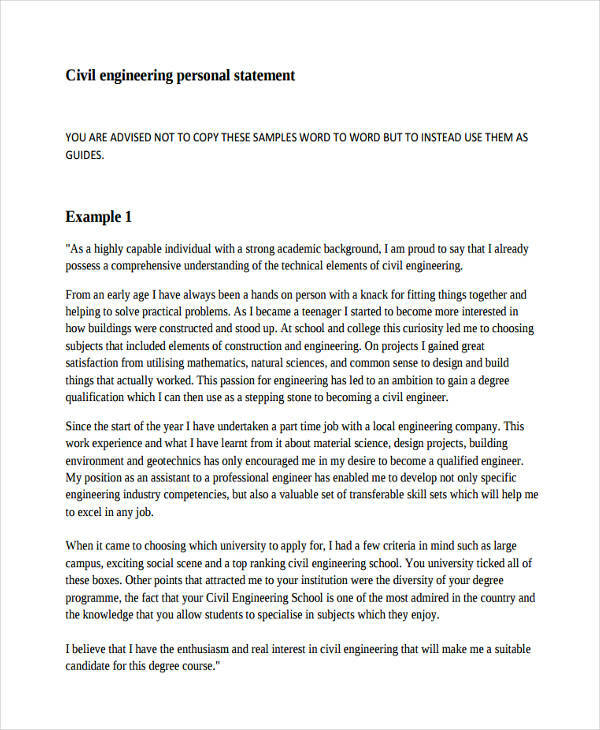 Some businesses or colleges would ask you to write a personal statement, a description, commonly in a form of an essay about yourself. 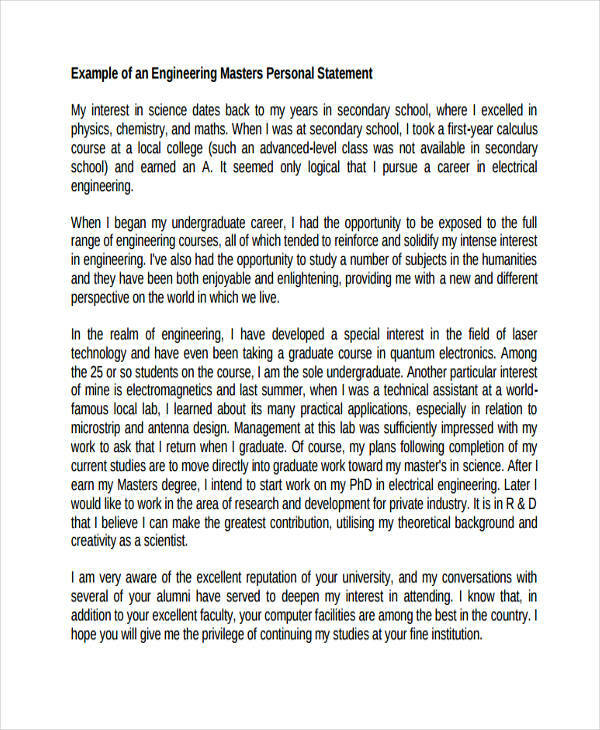 Some companies would usually ask you to write a personal statement together with your application letter as a part of their admission process. Here are a couple of samples which could be of great help for you. 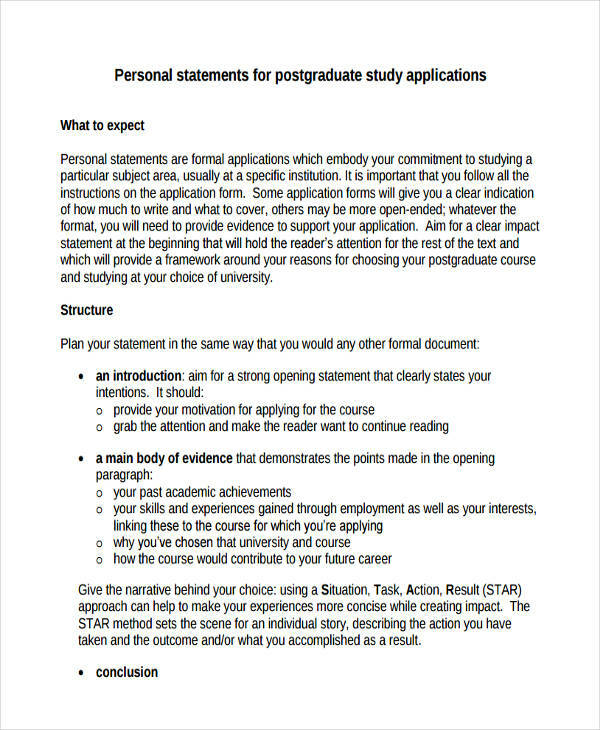 Writing a personal statement can have various purposes or structure. There are also others that are straightforward, precise and aiming to hit the goal, while others tend to be a bit shy and timid with their statements. 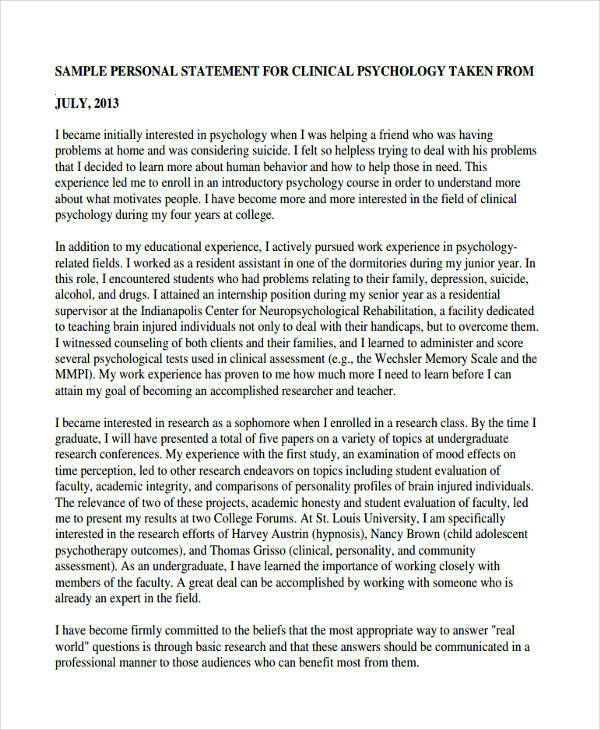 There is one common similarity among the many kinds of personal statement: to talk about yourself, of your personal background, and your skills and abilities. 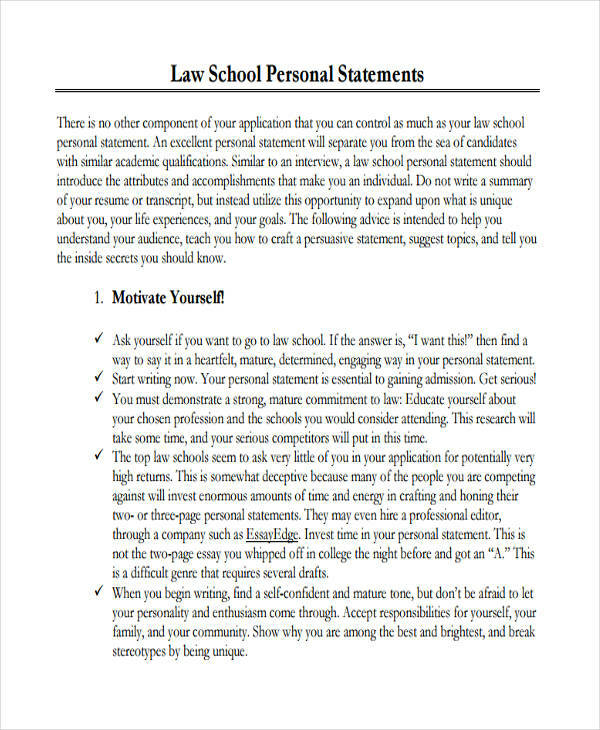 Writing a personal statement is where you sell yourself, not literally, but figuratively, so that you can leave an authentic impression that would make an employer want to meet you or a school head to offer you an admission. This is where you tell everything about yourself and why you are different from others. It is the same as making an invitation design, the more attractive it is, the more people will be intrigued about the occasion. However, writing such statement might sound simple because all you have to do is tell everything about your personality and what you can do. In truth, it is difficult. Most institutions do not focus on how flowery your words are. 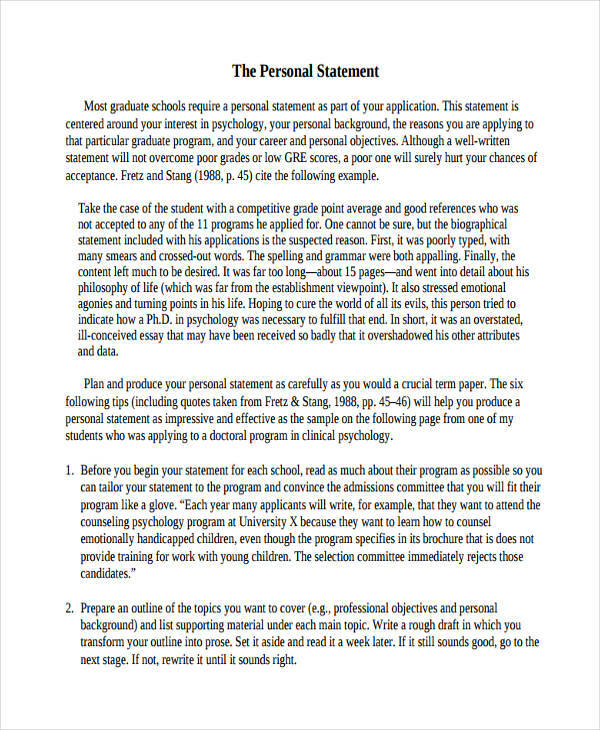 To tell you the truth, it is not the essence of a personal statement. Rather, it is how passionate you are about the point you are giving, how grateful you are about the life you have and the opportunities that it gives you, and how futuristic and hopeful you are about your career and personal smart goals. 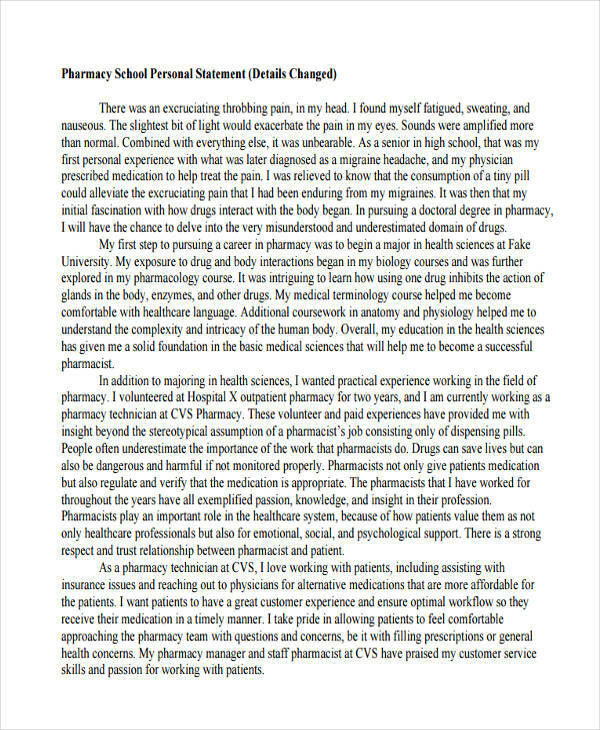 A personal statement should be brief, concise, and straight to the point. It should contain the most relevant information about you. 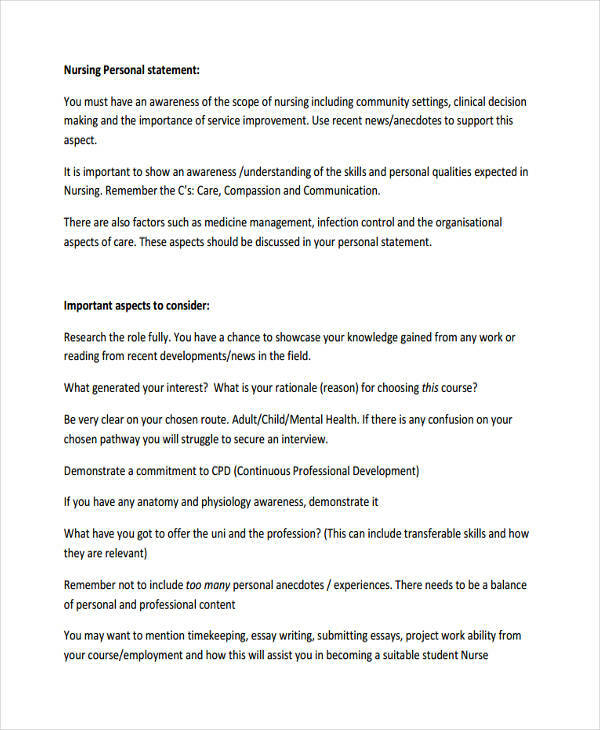 It should include the skills and talents needed for the post you are hoping for. 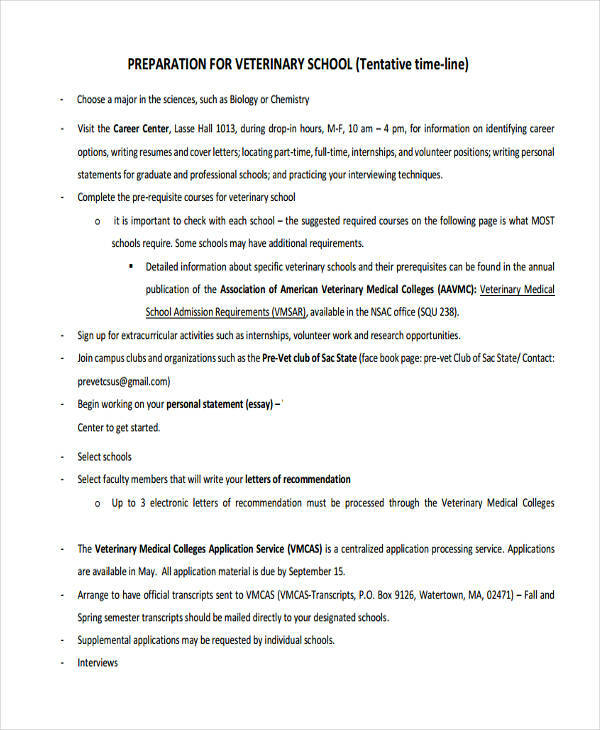 It should have your achievements and interests if you are aiming for a college admission. 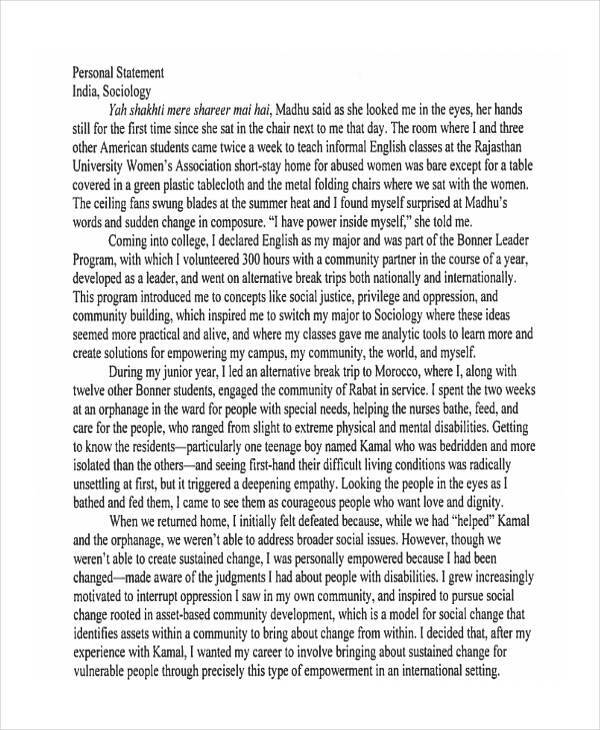 And lastly, it should contain words of gratitude and hope to show that whoever is reading your personal statement will know how genuine your character is. 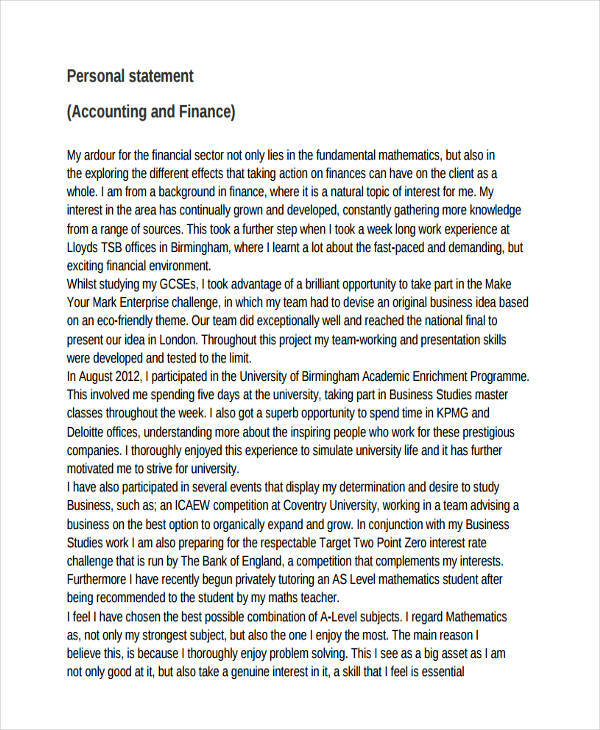 When writing a personal statement, always bear in mind that you write to impress. 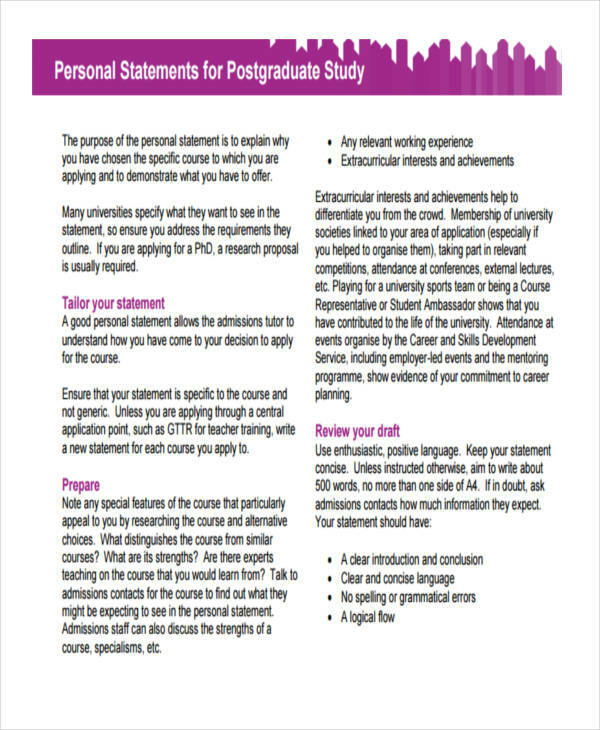 So we have outlined for you some tips for an effective personal statement. Understand Your Goal. 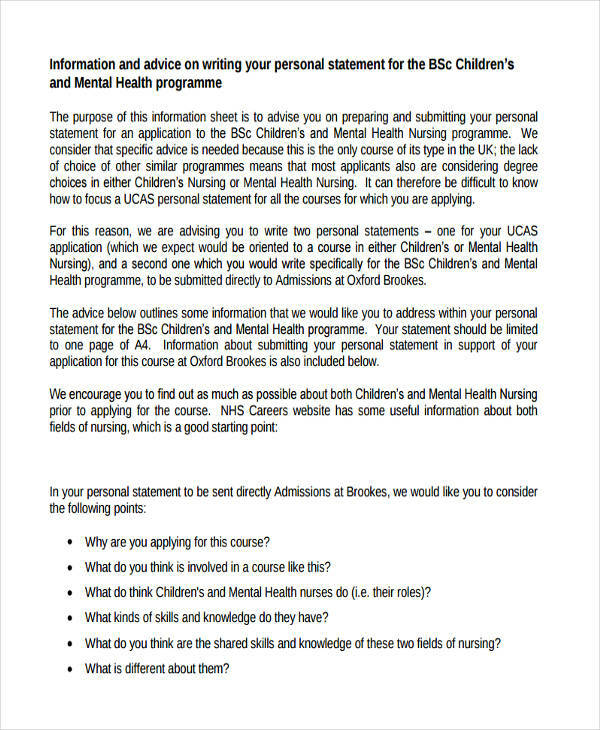 Bear in mind what your goal is in writing a personal statement. Remember that you are not the only one who is trying to grab that position or admission, so make it a point to put your best foot forward. This is what you do when you have a goal. It keeps your steps solid and for sure you won’t lose your track. Create an Outline. 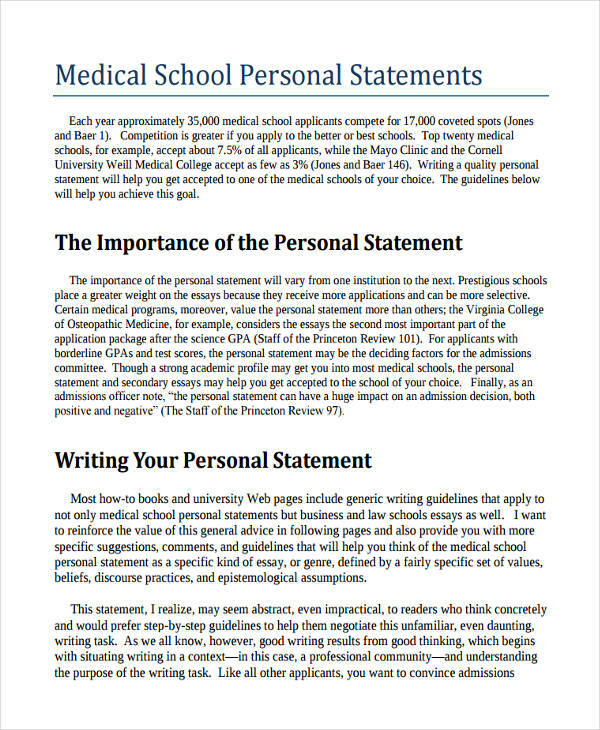 Like a college essay, your personal income statement should have a layout. Use the funneling technique on this one. Start from the most general points and narrow it down to the specific ones. It also helps you organize your thoughts better so your words will not jumble. Be Genuine. This is not the hardest thing to do in the world. All you need to do is tell honestly what your skills and accomplishments are. 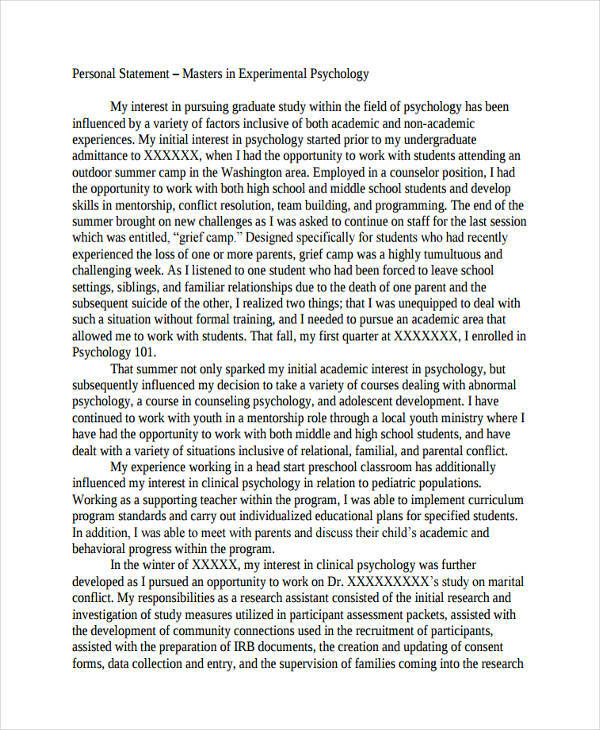 A personal statement is an overview about your personality. Even if it is a written letter, an employer or a supervisor will know if you are telling the truth or not. Be Specific. 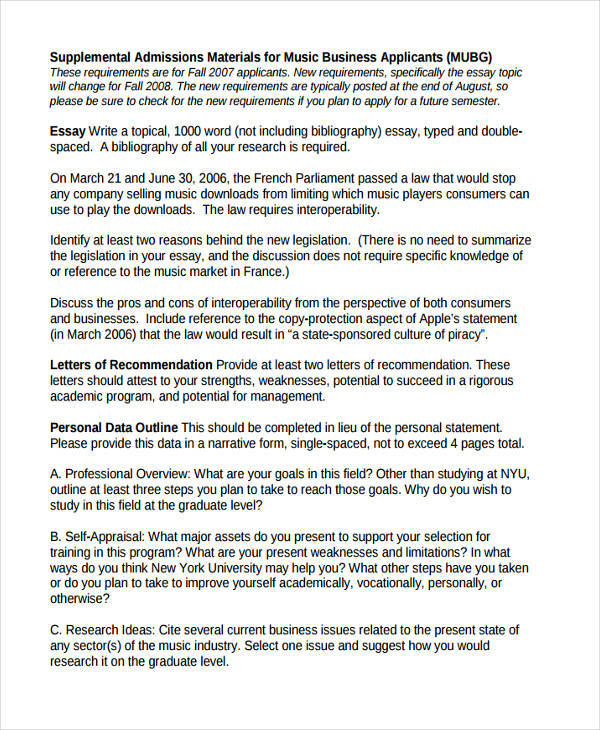 Some schools or business statement establishments would send a list of questions that they need you to answer and include on your personal statement. Answer those questions concretely and with substance. Do not veer away from your main point. Focus on your answer and be straightforward. Maintain a Positive Tone. 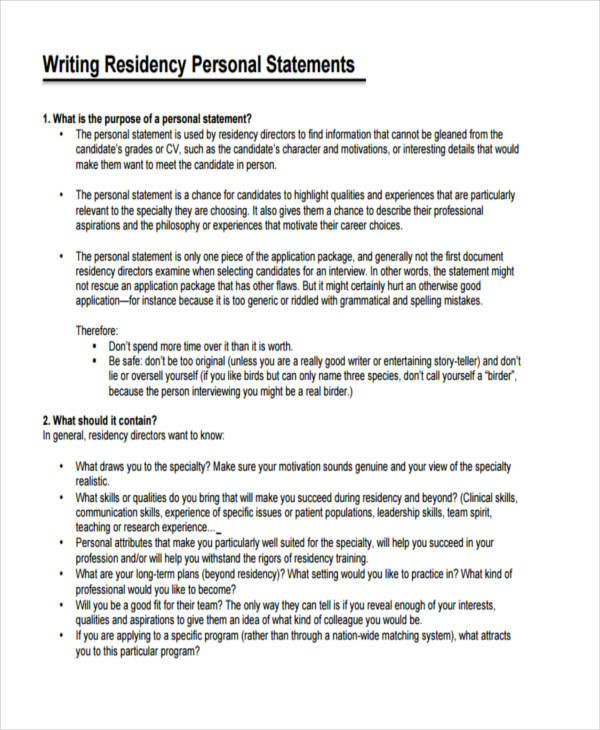 A personal statement is not the place for you to vent out your frustrations in life nor an opportunity to show your weaknesses and appeal for emotions. Make your words sound positive. Provide energy and liveliness when sharing about a certain lesson you learned or an obstacle in your life and how you were able to overcome it. 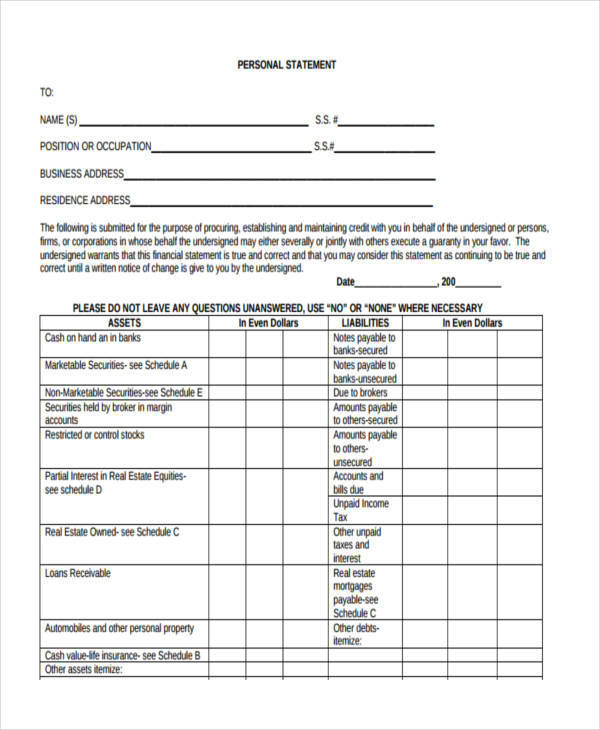 Check and Revise. Sometimes when we are writing, we often misspell things or use inappropriate words especially when we are in our deep thoughts. So before you put your letter in an envelope and put it in your mailbox, be sure to proofread your work. Check your spelling, choice of words and arrangement of thoughts. 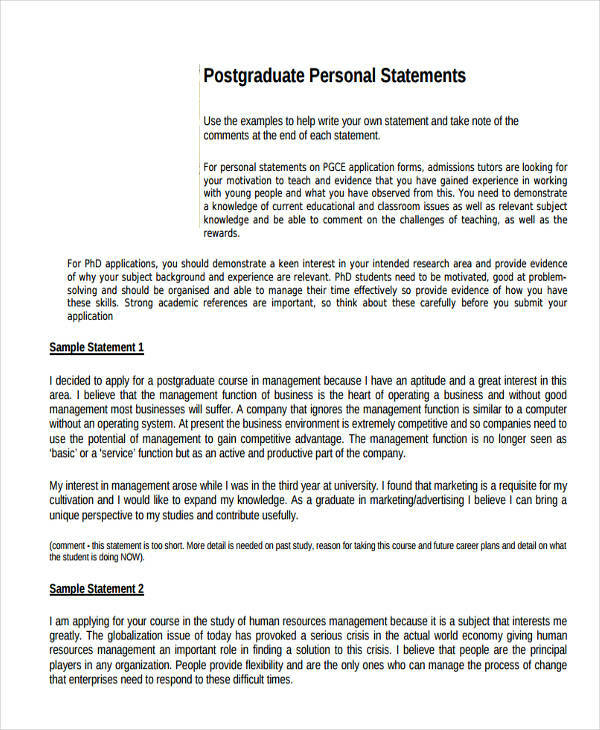 How Important Is a Personal Statement? 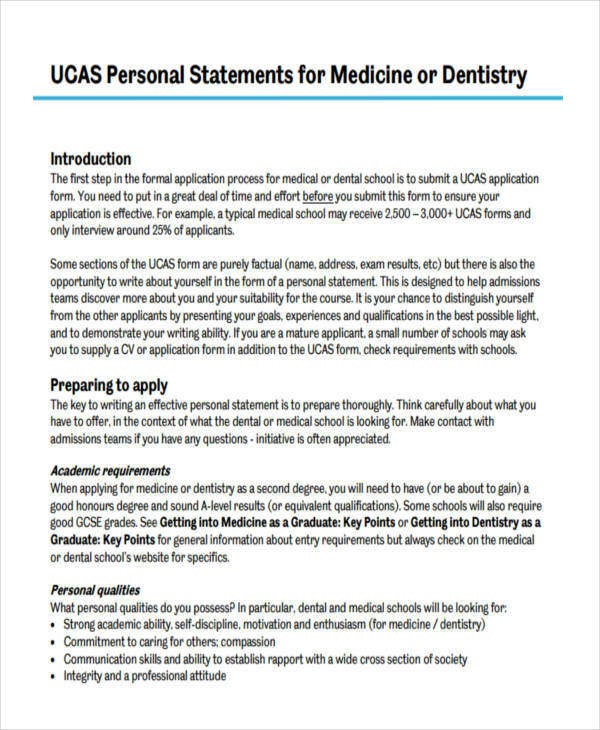 University admissions hold interviews based on the applications they receive. 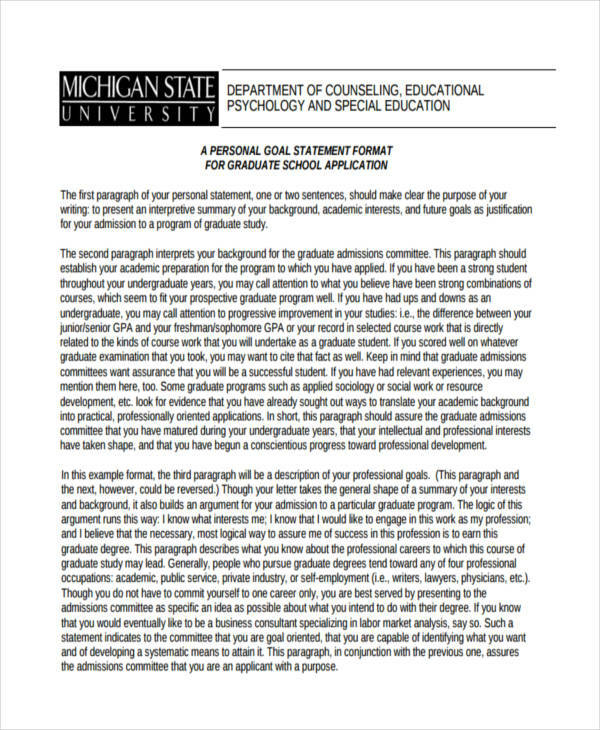 How you write your personal vision statement will be a determining factor for you to land in an interview and consequently get into college. So if you are planning to write a personal letter of poor quality, you better think twice. Here are the reasons why you need to write a compelling personal letter. 1. It gives you a better shot. 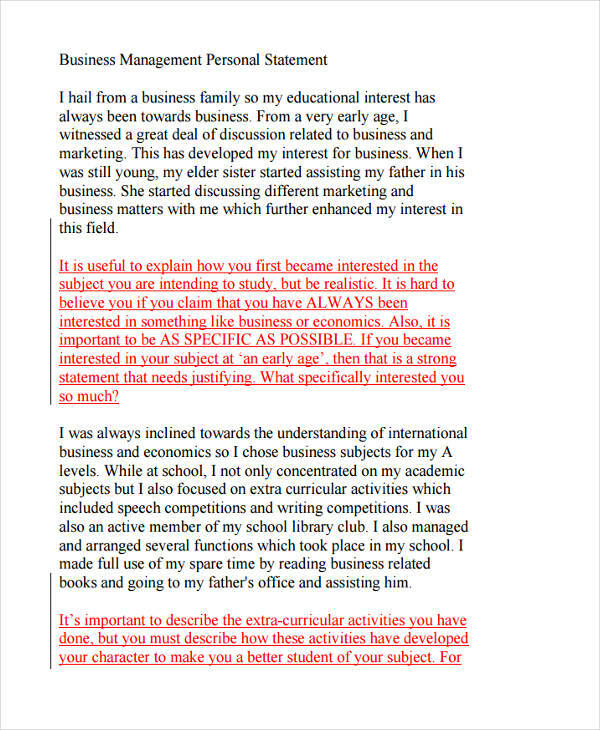 Whether you are aiming for a university admission or landing a job at a prominent income statement for company, an effective personal letter gives you a better shot compared to others. Remember that you are not the only participant in the race. In order for you to win, you need to give it with an undivided attention. 2. It gets your name on the list. Yes, it does. The truth is your personal letter is your only key to have your name on the master list. 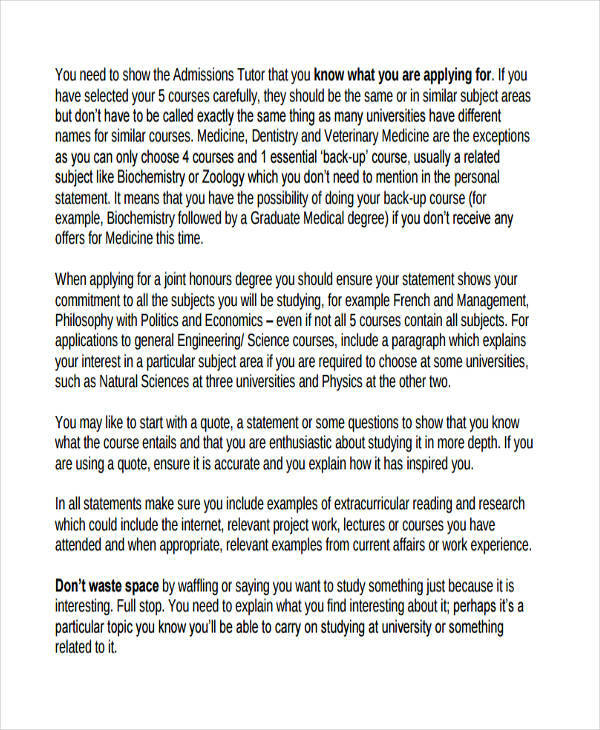 Some universities are a little picky when it comes to admitting new applicants. 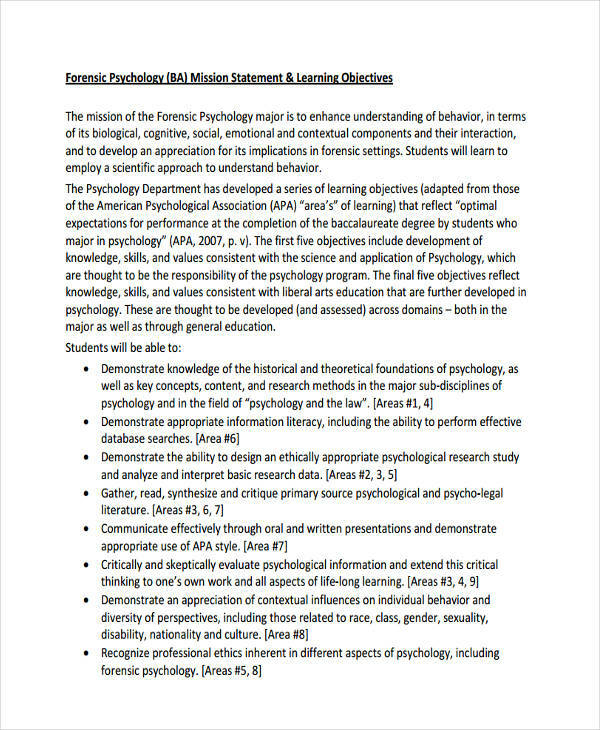 They do filtering to ensure that they choose the right students for the right program. Not only that. They are very selective because the applicant they choose will soon become a fruit of their own tree and they certainly don’t want it to be a bad one. 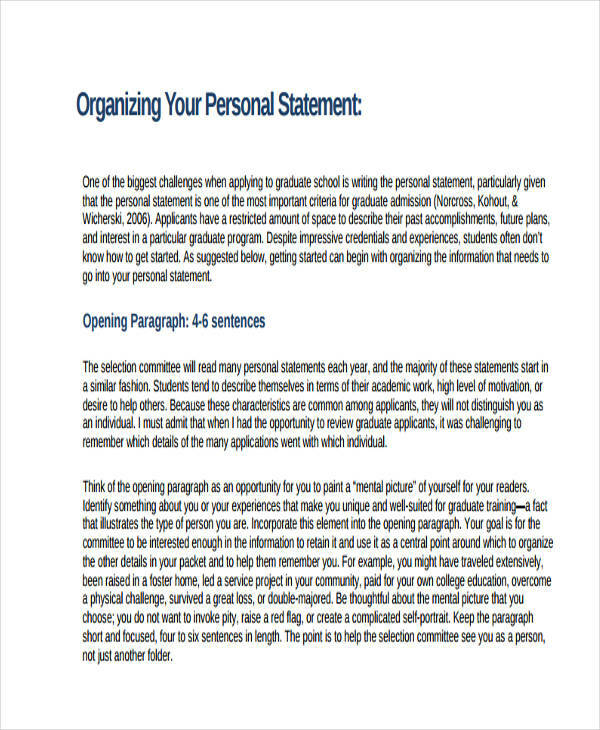 A personal statement is always given a head of time during an application examples or admission process. 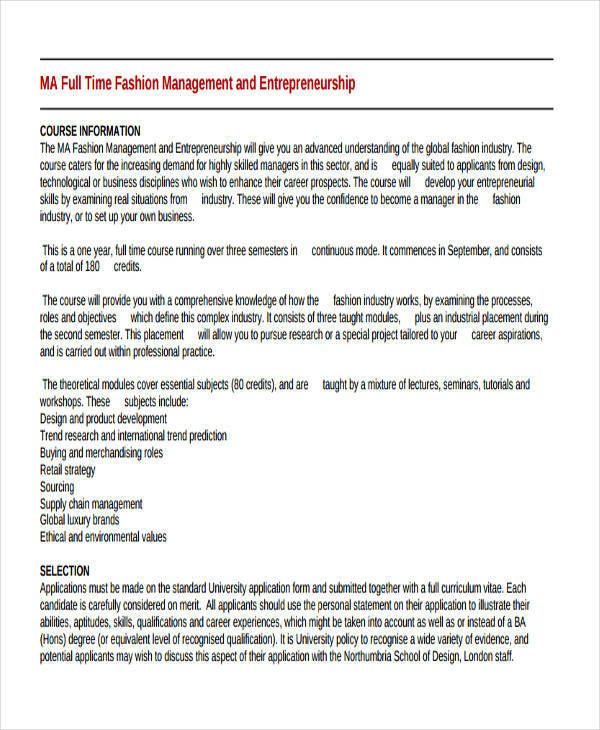 This gives the school or a company an overview of who to select from the many applicants. 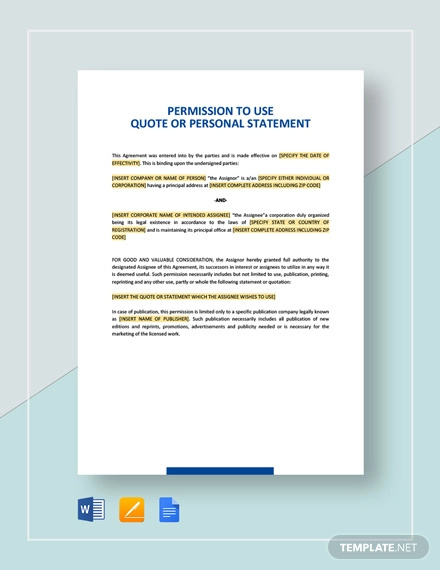 Writing a bold and convincing personal letter could get you ahead of others. You get picked from the basket of people longing for that post. Then in the process you get called for an interview. 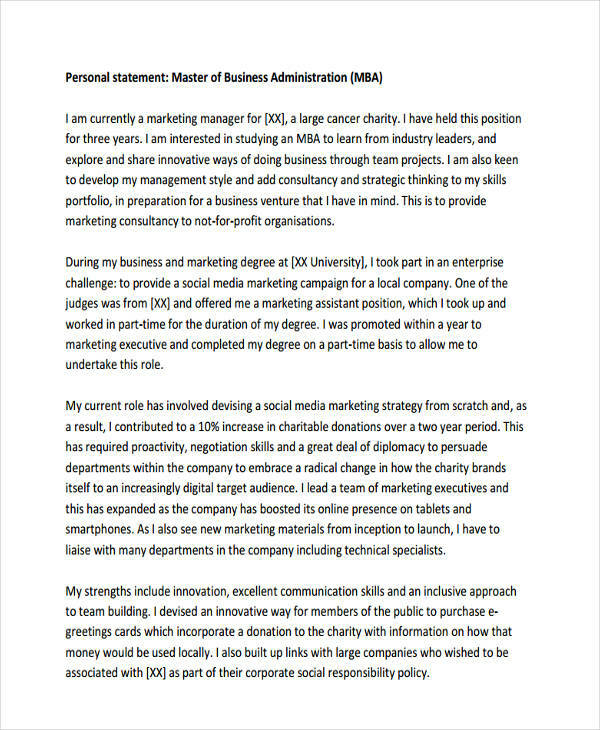 You know that your personal statement caught the attention of the school board or the employer and so you are confident that you are just a few steps away from landing that position you always hoped for. 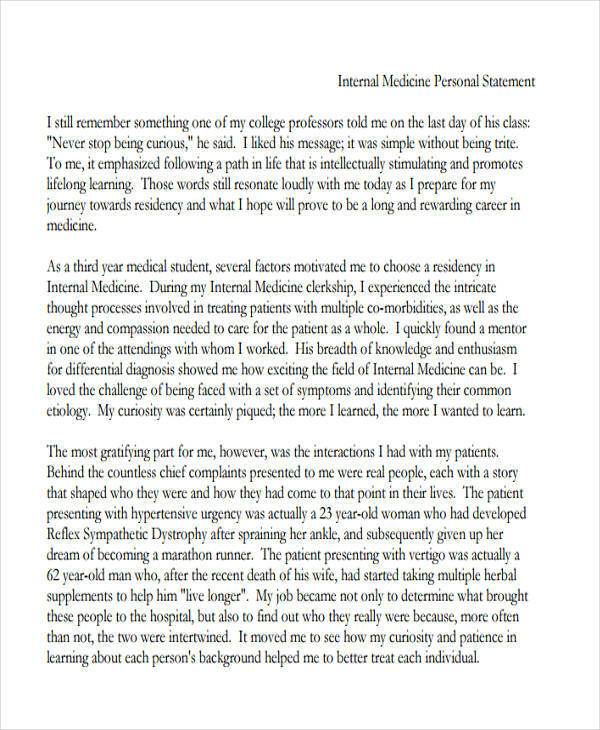 A personal statement need not be a novel-long narrative of yourself. Just as long as the important words and details are there, that’s fine. However, never settle for less. Always aim for the best. Have you ever seen an advertising brochure? It usually comes as a single sheet example in pdf, a cardboard or a photo paper maybe, folded into half or a quarter, but contains all the necessary information you want to know about a certain product. 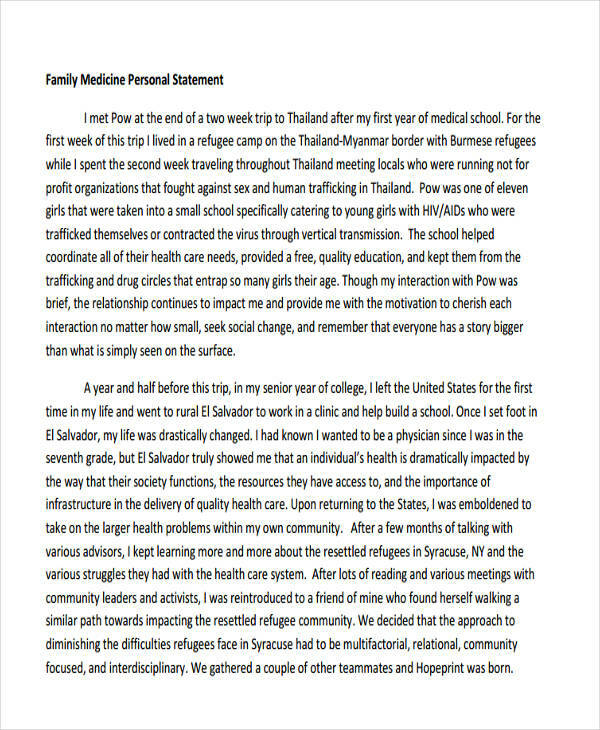 That is how your personal statement should be, brief, concise, and effective.